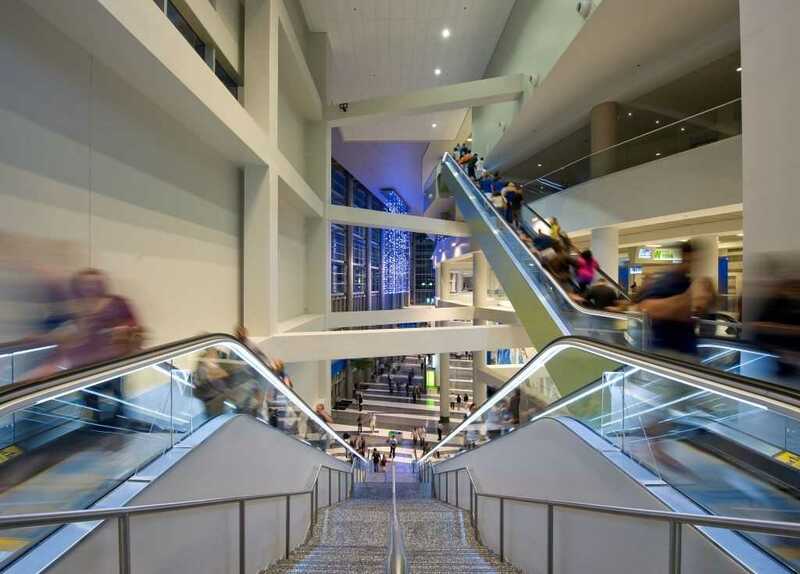 With its soaring iconic tower, rooftop bars, best-in-class seating options and more, the LEED Gold-certified Amway Center has redefined the entertainment experience for fans and entertainers alike. 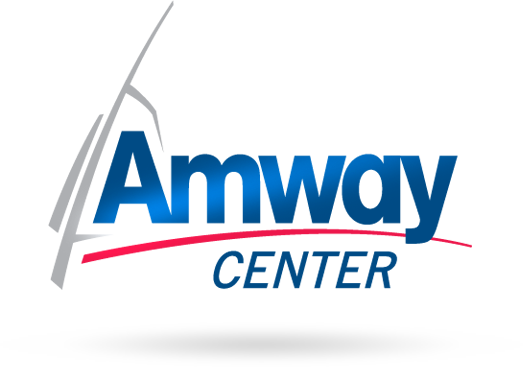 Since opening in October 2010, this technologically-superior arena has received numerous accolades for its unparalleled vision, amenities and customer service including the 2017 Venue Excellence Award from IAVM, the 2012 Sports Facility of the Year Award from SportsBusiness Journal and the 2013 Customer Experience Award from TheStadiumBusinessAwards (UK). 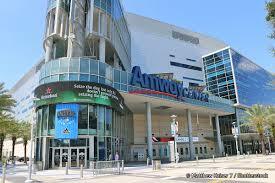 Proud home of the NBA’s Orlando Magic and the ECHL’s Orlando Solar Bears, this state-of-the-art facility has hosted milestone sporting events like the 2012 NBA All-Star Weekend, World Championship Boxing, WWE Royal Rumble and NCAA Men’s Division I Basketball Championships (2014 & 2017). 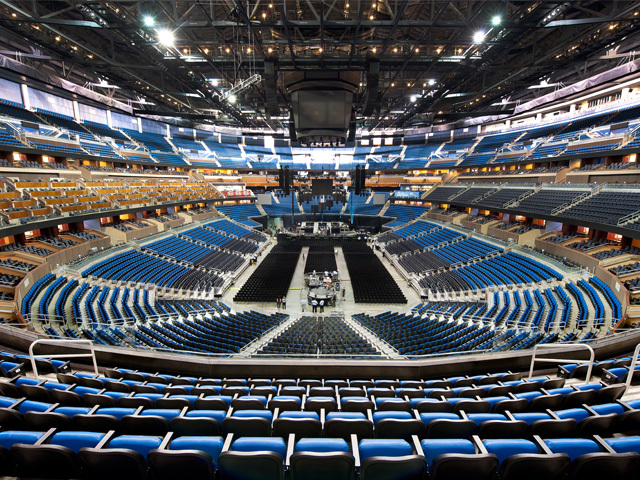 With numerous diverse hospitality areas and a capacity of up to 20,000 patrons, the arena is perfectly suited to host intimate gatherings, large events and everything in between. 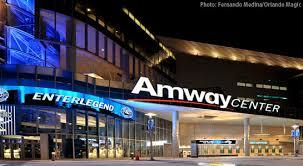 The Amway Center also offers numerous in-demand amenities including a motorized upper bowl curtaining system, several enclosed loading docks, a drive-up ramp, ample truck parking both on & off site, artist & crew workout facilities and high-visibility LED displays for potential advertising opportunities. 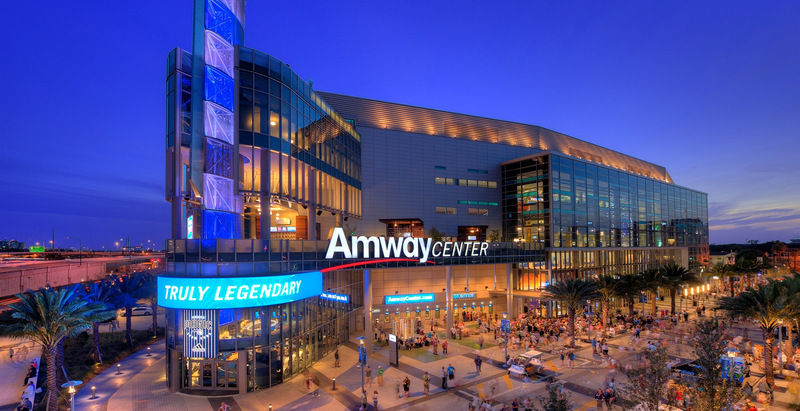 Whether it’s sports, concerts, family shows or national events, the Amway Center delivers experiences that are truly legendary.